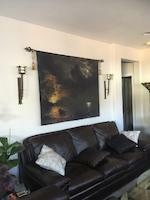 Thank you to the "500 VIEWS GALLERY" for featuring this painting in your group gallery. 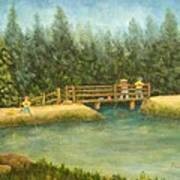 Thank you to the "PAINTING CAFE" Gallery for featuring this painting in your group gallery. 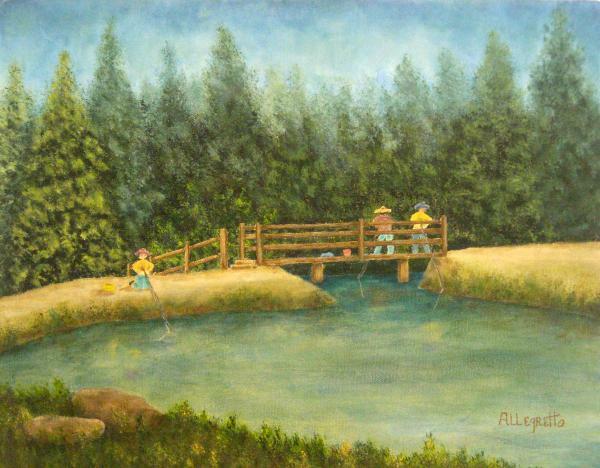 Thank you to "PAINTINGS 100 VIEWS" for featuring this painting in your Gallery! Thank you so much for taking the time to write such a beautiful comment. 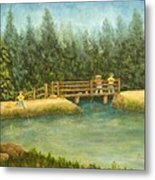 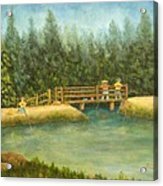 Folk art painting of boys fishing off a bridge at Gay Park Lake in Connecticut, New England.The original acrylic on canvas is available on my art website: http://www.pamelaallegretto-franz.com or contact me here.